VANCOUVER, March 26, 2019 /CNW/ – B2Gold Corp. (TSX: BTO, NYSE AMERICAN: BTG, NSX: B2G) (“B2Gold” or the “Company”) is pleased to announce very positive results from the Expansion Study Preliminary Economic Assessment (“PEA”) for the Fekola Mine located in Mali and that the Company is proceeding with an expansion project to increase processing throughput by 1.5 million tonnes per annum (“Mtpa”) to 7.5 Mtpa from the current base rate of 6 Mtpa. All dollar figures are in United States dollars unless otherwise indicated. The Expansion Study PEA was conducted to evaluate the life-of-mine (“LoM”) options for expanded mining and processing to maximize the value of the substantially increased Indicated and Inferred Mineral Resource at the Fekola Mine (see news release dated October 25, 2018) (see also the Company’s current AIF, filed on SEDAR on March 20, 2019, which reflects 2018 gold production). Results of this study recommend an expansion of the existing plant to process an additional 1.5 Mtpa, resulting in a baseline capacity of 7.5 Mtpa without requiring an additional ball mill or additional power generation capacity. Based on the new optimized mine plan, the mining rate at Fekola will also be increased, along with additional mining equipment to accelerate the supply of higher-grade ore to the expanded processing facilities. As a result of the project and Mineral Resource expansion, the Fekola Mine will produce more gold over a longer life, with more robust economics and higher average annual gold production, revenues and cash flows than the previous LoM. Based on positive results of the conceptual Fekola expansion study the Company continued testing and design with the same Lycopodium-Brisbane team which performed engineering and design work for the current Fekola mill and infrastructure, and contracted Whittle Consulting (“Whittle”) to work together with the Company’s technical team to conduct an Enterprise Optimization study of the Fekola Project. Results have confirmed the value of the processing expansion and recommend a corresponding increase in mining capacity. 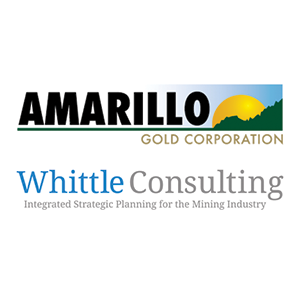 Whittle evaluated mining production rates, pit and phase scheduling, dynamic cut-off grades, ore stockpiling, blending, and dynamic processing throughput and recovery to maximize project NPV. These parameters will continue to be optimized during the next phases of project design and implementation. In the meantime, the Company is nearing completion on Front-End Engineering and Design (“FEED”) for the expansion with a focus on long lead items. The project schedule indicates that the processing expansion will be fully operational by Q4 2020. B2Gold is currently investigating the potential to accelerate this schedule based on the availability of long lead items. Click here to read the full press release from B2Gold Corp.